An ecologist by training, Rebecca D’Cruz has spent the last 22 years working on all aspects of wetland conservation and wise use, from policy development, strategic planning and institutional strengthening to site management planning and training. She graduated from the University of Science, Malaysia and then spent eight years working on wetland conservation and management projects in South-east Asia, first with the University of Malaya and later with Wetlands International – Asia Pacific. Between 1997 and 2000, Rebecca worked at the secretariat of the Ramsar Convention on Wetlands in Gland, Switzerland, where she served as Regional Coordinator for Asia and the Pacific, learned how to ski and developed a taste for fondue. After her stint with the Ramsar Secretariat she returned to Malaysia to establish and comanage a natural resources management consultancy which provides expert practical advice and assistance in the field of natural resources management and conservation, primarily in wetlands, in the Asia-Pacific region. Rebecca has and continues to work with governments and regional organizations as well as international and national non-government organizations, development assistance agencies and community groups. Rebecca continues to provide her services, in a voluntary capacity, to support conservation initiatives at the global level. She is the Vice Chair of the Scientific and Technical Review Panel (STRP) of the Ramsar Convention, a member of the IUCN-Commission on Ecosystem Management and a member of the Lafarge Group’s International Biodiversity Panel. 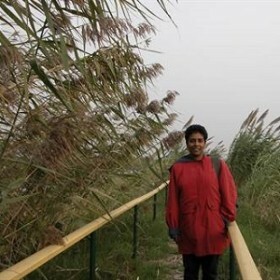 She was actively involved in the Millennium Ecosystem Assessment (MA) – as Co-Convening Lead Author for the Chapter on Inland Waters, and Co-Chair for the Wetland Synthesis (Ramsar) Report. Born in Malaysia, Rebecca spent the greater part of her childhood in a small town on the eastern shores of West Malaysia where she began her love affair with the ocean and all things living. Rebecca makes her home in Kuching, Malaysian Borneo where she volunteers her time to non-governmental organizations. She serves as Chairman of the Sarawak Society for the Prevention of Cruelty to Animals and Honorary Secretary of the Sarawak Women in Business Association. Her love for off-the-beaten-track travel and her interest in history (which she inherited from her historian father), continues to take her to parts of the world not normally featured on tourist maps. She is married to Tony, a fellow ecologist. Rebecca aims to continuing working to advance wetland conservation and wise for a long, long time to come.